You guys. This is the ULTIMATE in summer drinks. 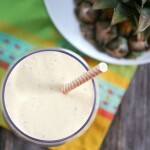 ☀ Grilled Pineapple Lassi! 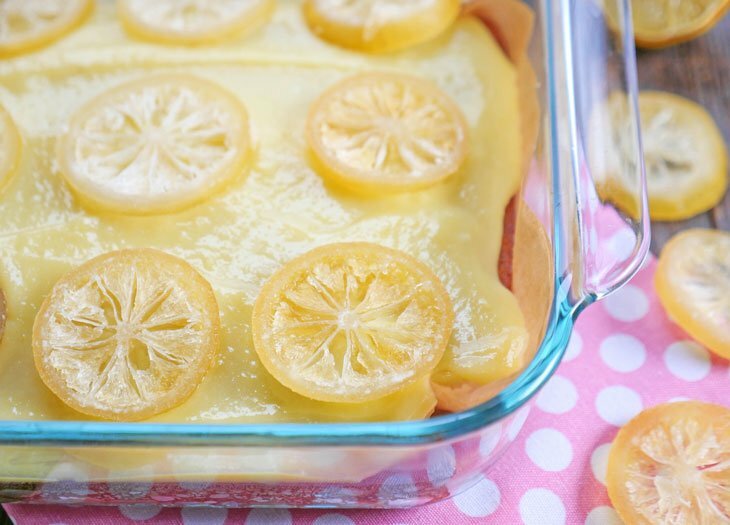 It’s light, refreshing, a little tart yet oh so sweet! I’m guessing you’ve never had a drink quite like this before. 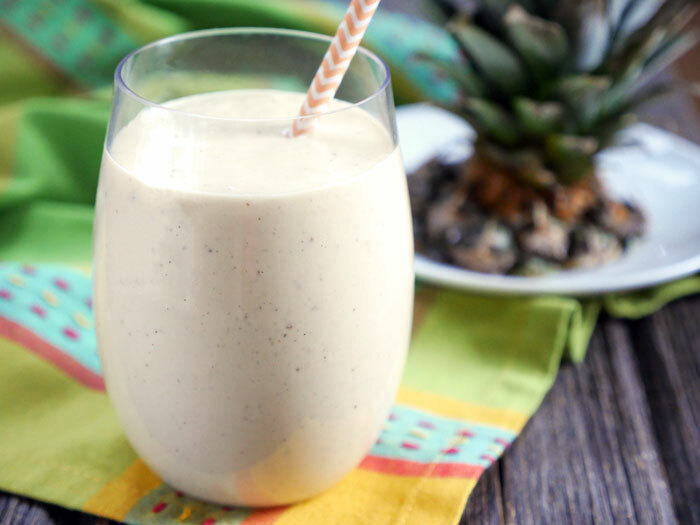 Grilling the pineapple is key to creating this delicious summery sweet shake. That’s because the grill helps caramelize the sugars in the pineapple, making the fruit incredibly sweet. It’s so sweet that even when it’s paired with tart yogurt, there’s no need to add sweetener. 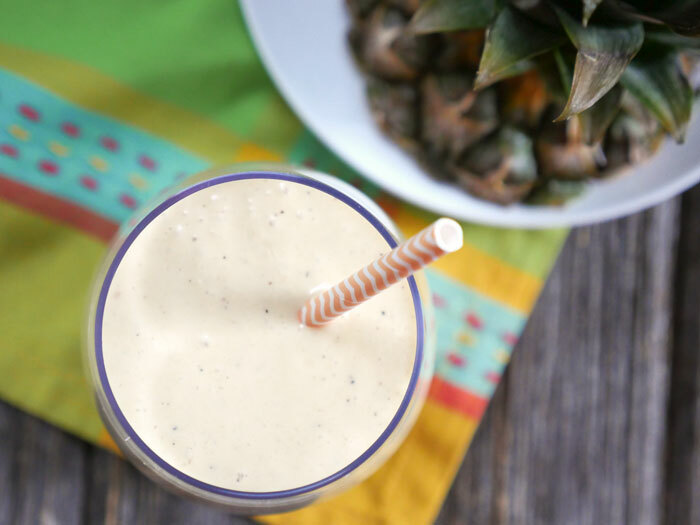 Grilled pineapple lassi is lighter in color than a traditional mango lassi – that’s because pineapple is a lighter yellow fruit. If you look closely into the drink, you can actually see little black flecks from the charred marks on the grilled pineapple. SO so good. The flavor of this drink is so unique – it’s similar but still unlike any fruit lassi I’ve had before. It’s spiced with a hint of cardamom and rose water – I think it’d be almost just as good even if you leave those two ingredients out (but don’t…). This is the drink to make when it feels like it’s a million degrees outside. With every sip, you’ll feel a little cooler. 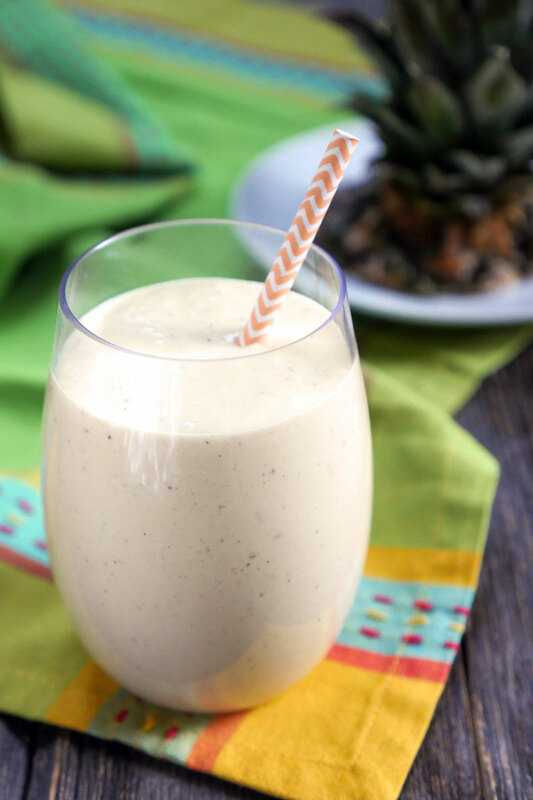 You can make this drink with the yogurt of your choice – regular, greek or even dairy-free. 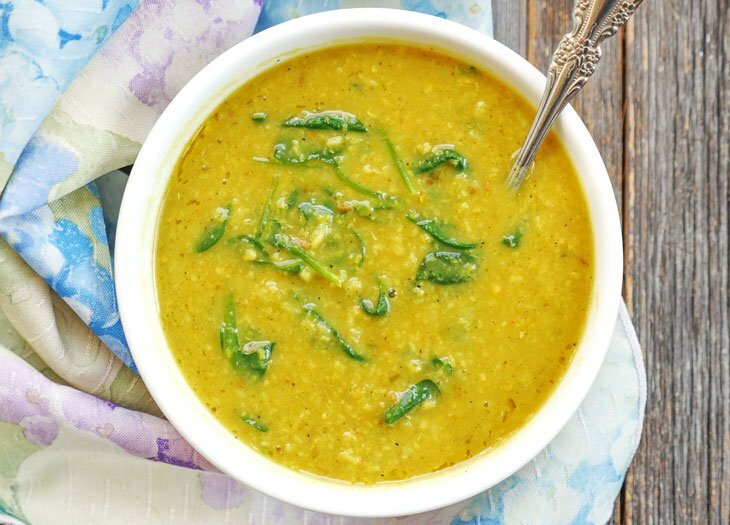 I have a recipe for dairy-free coconut milk yogurt in my South Asian Persuasion eBook along with a recipe for traditional mango lassi. You can also add sweetener to the drink if you need it! If you don’t want to wait for the grilled pineapple to cool down, you can blend it right away and serve it over ice cubes. 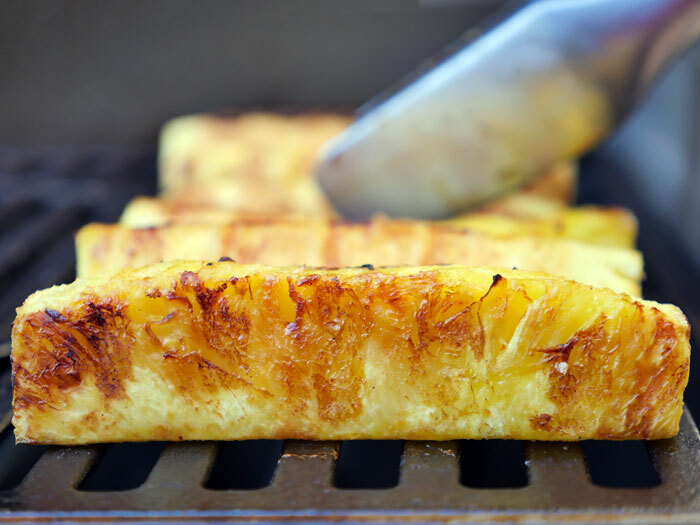 Grill the pineapple over medium-high heat until slightly charred, then allow it to cool. Either refrigerate until chilled or serve over ice immediately. 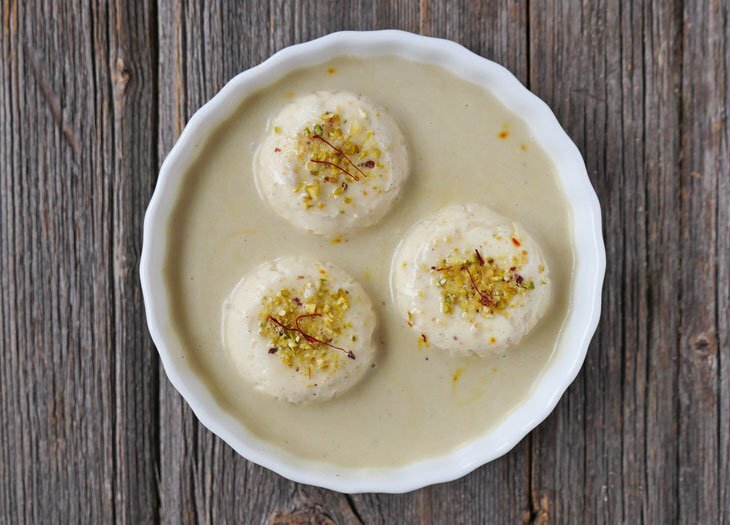 Thanks so much for this lassi recipe! I’m totally addicted to mango lassi since the first time I’ve tried it. Love the thick & sweet drink, especially for the summer. Can’t wait to try this grilled pineapple version! !